Hi! My name is Maria and I am a new Keto enthusiastic!I am a teacher from Colombia who is working in the States; It has been a year living and working here in NC, which has been a great experience for me and my family. I started writing this blog because I have discovered that I like writing and I have developed good skills to do so (at least that's what I think). This week I watched a video about all the benefits of a Keto diet and how amazing it sounds; eating fat, not counting calories and still losing weight. I have to admit that I have never been overweight, I just think I have some pounds that I can lose. Besides, I have always wanted to have a flat stomach with great abs, but my eating habits have never allowed it. I have always eaten everything, but I am not a cake lover or bread lover. I have to admit I am an "obese skinny" or, in other words, I have skinny fat. Regarding exercise, I have always practiced little to no exercise, although when I was younger, I used to practice volleyball. I have started the gym several times but I end up quitting it. This is why I have never gotten the six pack. Right now I am going to the gym; I do some cardio and I lift weighs. I am hitting the gym 2 to 3 times a week. When I was 17 years old I was skinny, but still I did not have a six pack. at that time I was not aware of my body; I was skinny just because! I did not take care of what I ate. I would even eat junk food, ice cream, and anything that was at home. As I said before, I have always wanted to be fit, to have muscles, specially abs. At 33, I have decided that I am changing my lifestyle. 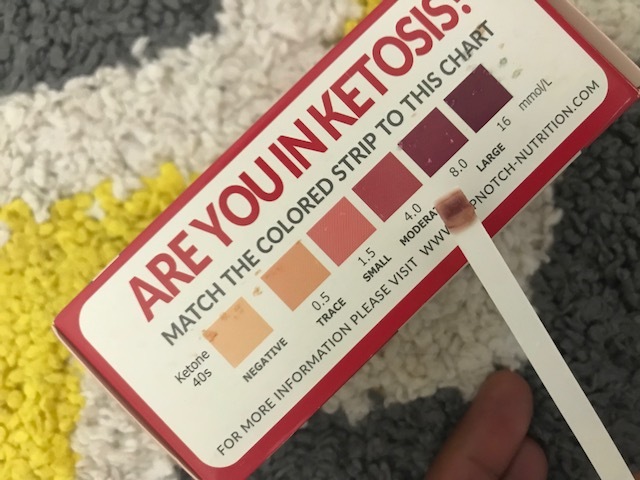 I want to put my body in ketosis, in other words, I want my body to use fat as energy. To do so I have to switch my diet to a low-carb diet, rich in fats such as olive and avocado oils, avocado, nuts, coconut oil, pork, fish, chicken meats and so on. I started this adjusting my body to this type of diet. So far, it has been six days, but I have cheated two times. :( Both because of being social. I want to challenge myself to both keep on the diet and write this blog in order to help or inspire myself and other people who want to see my progress. I want to keep doing this until I have reached my goal of getting a six pack and actually seeing my muscles. I have not weighed myself to begin with, but I believe that it is easy to notice when you lose weight when you put your clothes on. I hope to keep writing! See you around! At the end of this week I will post a picture of my evolution and I will share pictures of more meals.